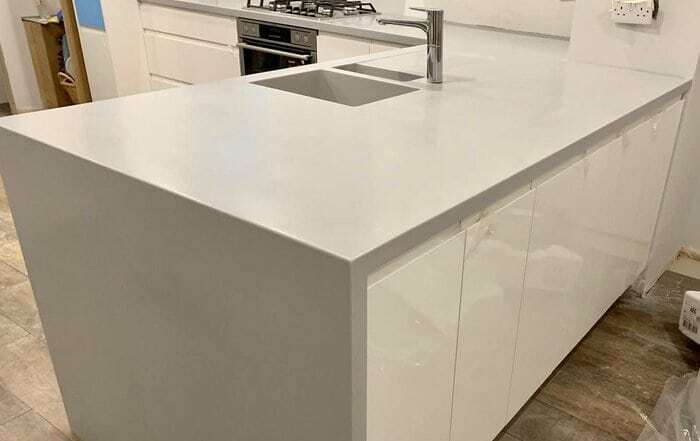 Our client the Tingles from Wakefield chose to have a Corian White Solid Surface Kitchen Worktop to enhamce their beautiful kitchen. 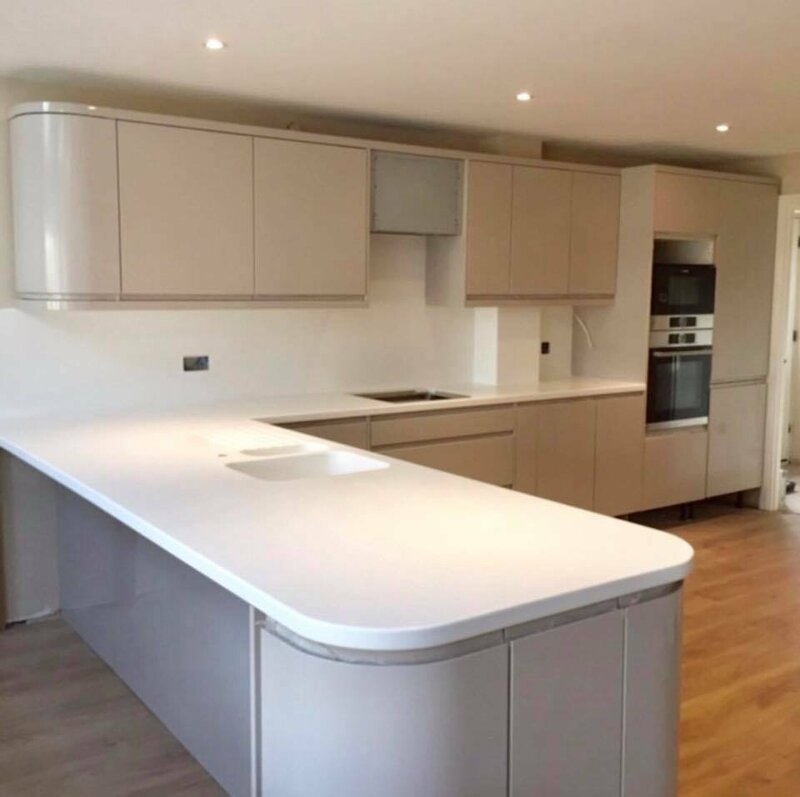 The work surfaces on the penisular were radiused to match the curve of the kitchen units which gave them a truly bespoke look. 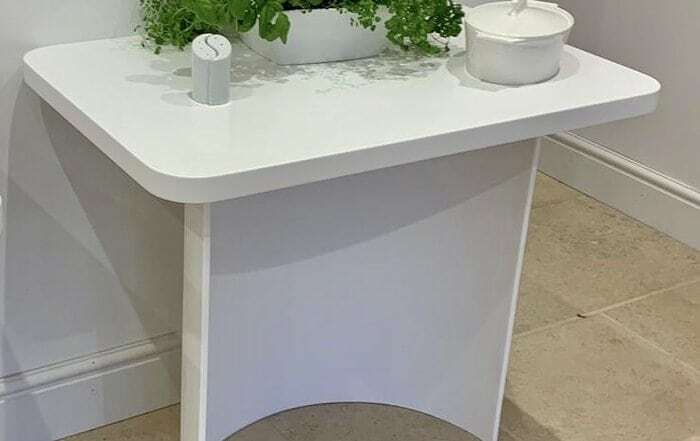 They chose a Solid surface sink and a half which was seamlessly integrated into the worksurfaces. From template to installation: 8 days. Just want to say a huge thanks to Wayne for the fantastic work. 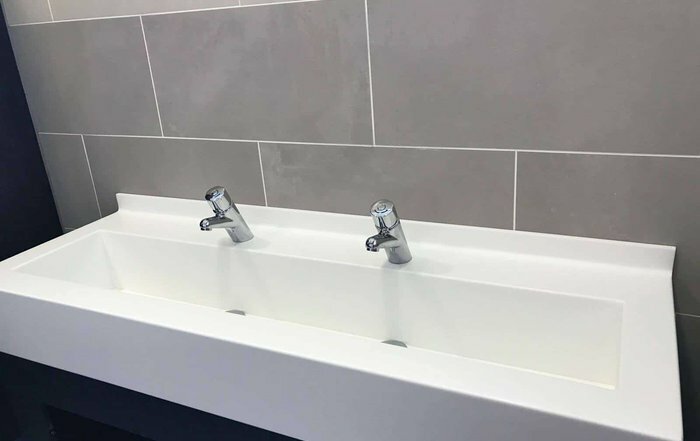 We absolutely love it and think Wayne has done such a precise brilliant job. We have no hesitation in recommending you to our friends and family. Thanks again and all the best to you and your family for the future.